Clement Attlee, Prime Minister of Great Britain from 1945 to 1951, has, like Andrew Bonar Law, been described as an ‘accidental Prime Minister’. A retiring man, overshadowed by the flamboyant Churchill during the Second World War, he is dimly remembered as a politician who, by good fortune, happened to lead the Labour Party at a time when Britain was disillusioned with Tory rule and ready for change. Six years later the Tories returned to power where they remained for 13 years. In fact, it was Attlee’s Government that in a remarkably short time introduced cardinal features of post-war Britain: the National Health Service, extensive nationalisation of essential industry, the Welfare State that Britons take for granted in the mixed economy dating from 1945. In foreign policy his Government can take credit for the withdrawal from India, transition from Empire to Commonwealth and the creation of the Anglo-American alliance, central to British policy for over sixty years. Jago argues that none of this was accidental, that Attlee, a fierce patriot, embraced Socialism in his twenties and, by the time he stood for Parliament soon after the First World War nourished an ambition to achieve power and create a more egalitarian society not only in Britain but also, by pursuing a Socialist foreign policy, to move towards world governance through the United Nations. Once he assumed the Labour Party leadership in 1935 he was single-minded in pursuing his goals. 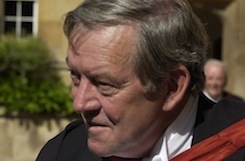 Despite his unwavering support for Winston Churchill as war leader from 1940 to 1945, he succeeded in demonstrating to the electorate that Labour was better equipped to handle post-war reconstruction in Britain. This required deft footwork and endless forbearance. Although less visible than many of his colleagues, particularly the remarkable Ernest Bevin, Attlee remained leader of the Labour Party for twenty years, holding together the two wings of his party. During those two decades his leadership was never seriously challenged. In 1955, when he stepped down, he was reasonably content that he could bequeath a united party to his successor, Hugh Gaitskell. Drawing largely from Attlee’s writings, speeches and letters, Clement Attlee: The Inevitable Prime Minister traces the life of a middle-class lawyer’s son who, appalled by living conditions in London’s East End, relentlessly pursued his ambition to lead a Government that would implement far-reaching Socialist reform and change forever the divisive class structure of twentieth-century Britain. "Jago has produced a thoughtful and readable biography, and has made his own contribution to the Attlee canon with new research and insights." 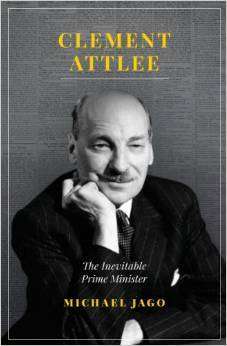 "...a thoughtful and readable biography, and has made his own contribution to the Attlee canon with new research and insights. " "By far the best account I’ve seen anywhere of Attlee's Oxford years. I can see myself telling researchers of the future ... that Jago should be their first port of call. " "This generally impressive book ." "A comprehensive account of the personal and political life of Clement Attlee…rich in detail, much of which is drawn from the achives, some of which will be new to readers. It is also well written and engaging…a god analysis of the man, his beliefs and his political progress."